*This post was accidentally published last Tuesday. I’m still getting the hang of this thing they call WordPress so I apologize for “throwing it back” two days too early. This post is by no means meant to be a comprehensive history of the Jupiter Lighthouse. In fact, I recommend visiting the lighthouse yourself and taking the tour, which includes climbing the 105 steps to the top of the light (yikes!). Not only is the lighthouse itself impressive, but the Loxahatchee River Historical Society has done a beautiful job restoring the grounds with native plant species. 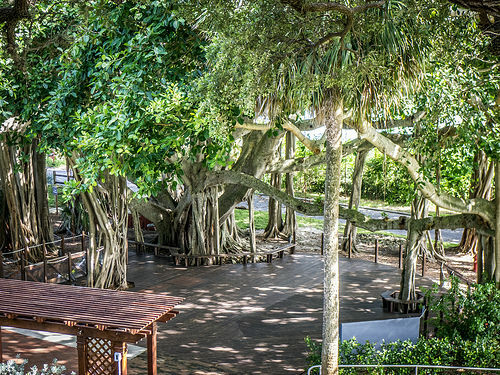 However, one of the most spectacular trees on the property is not native to Florida – the massive banyan tree planted at the site of the first lighthouse keeper’s house. 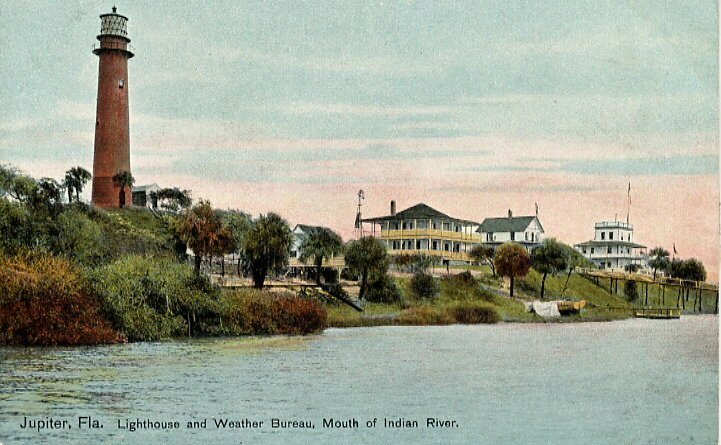 After battling local Seminole tribes, malaria, and storms which closed the Jupiter Inlet, construction of the lighthouse was finally completed in May of 1860 and the light was officially lit on July 10th of the same year. Only one month later, the Civil War broke out. Confederate sympathizers made off with the enough parts to disable the light. Legend has it that the lens was hidden on Jupiter Island throughout the war. The lighthouse remained dark until 1866 when the parts were located and reinstalled by Captain James A. Armour, who became the head lighthouse keeper for over 40 years. The full story of the Jupiter Lighthouse as well as information about local history and pioneers is on exhibit at the Loxahatchee River Historical Society. It is definitely worth taking the time to see the exhibit after your climb to the top of the light. The Jupiter Lighthouse has always been close to my family’s heart. In the early 1970s, the lighthouse was operated by the United States Coast Guard, who were apparently very handsome. Each weekend, my mother and her friend (who were students at Jupiter High School at the time) would dash up all 105 stairs to visit them. The guards would let my mom sit in the light while the lens rotated around her. Of course, this is no longer allowed and most guides on the tour look at my mother in disbelief when she tells them the story. 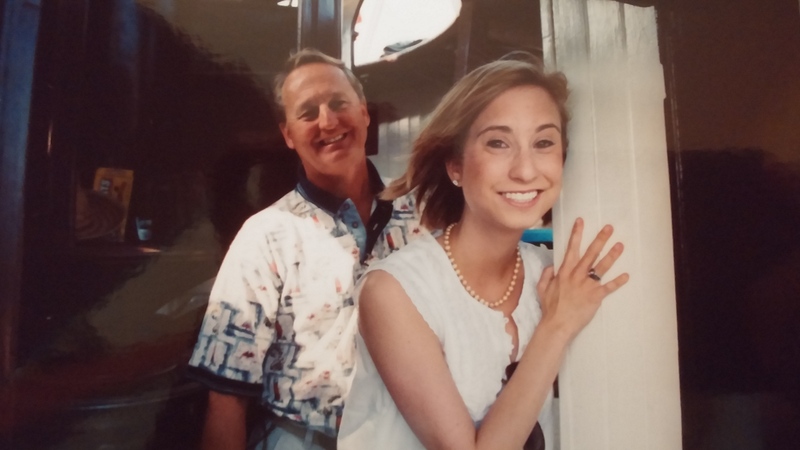 My dad, mom, and me in front of the Jupiter Lighthouse in the mid-1990s. 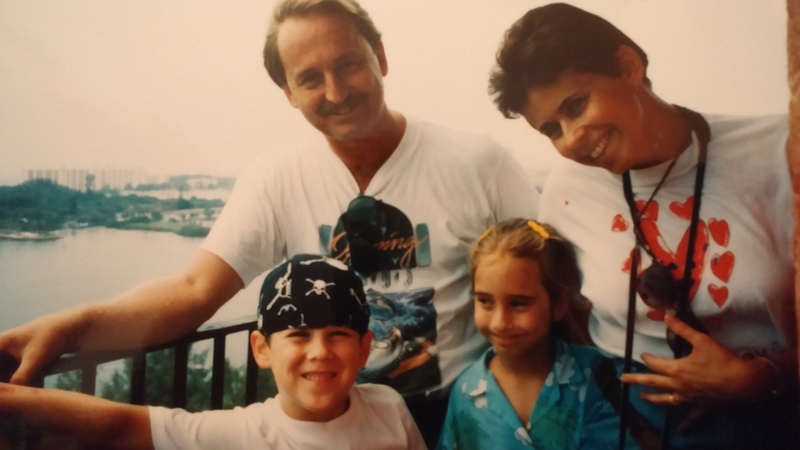 At the top of the lighthouse with my dad, cousin, and mom in the mid-1990s. As you can tell from my expression, I wasn’t so sure if I was enjoying the experience. Also, notice the doo-rag my cousin is wearing. Priceless. Having a nervous breakdown at the top of the light during my sophomore year of college. Thanks Dad for passing down your fear of heights! I am proud to say that I conquered my fear with P this summer. After living in Palm Beach County for four years, he had never been to the Jupiter Lighthouse. I can’t say that I didn’t have a minor meltdown on the way up the spiral staircase but we did make it to the top to see the gorgeous Jupiter Inlet. 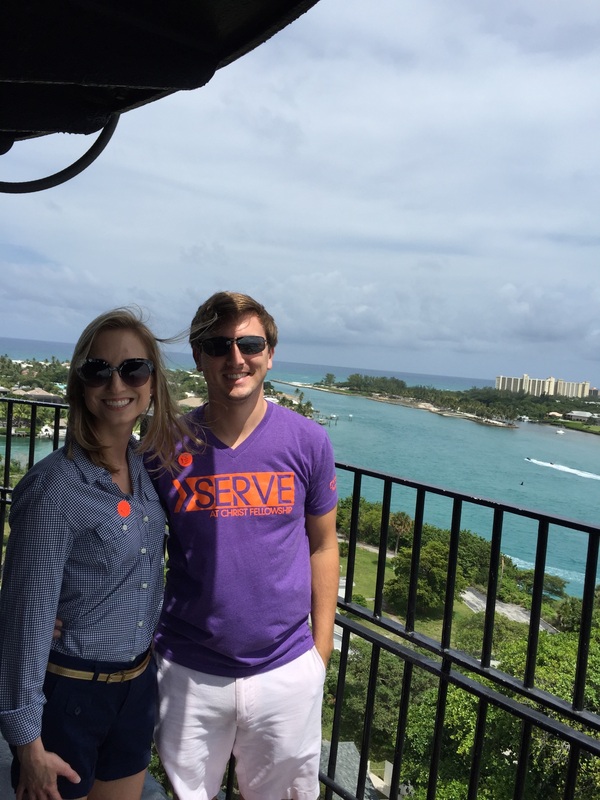 P and myself at the top of the Jupiter Lighthouse in June 2015. Do you have any Jupiter Lighthouse stories to share? Featured image courtesy of the National Weather Service Weather Forecast Office. Historical facts checked against the Loxahatchee River Historical Society website.